ADA COUNTY, Ida. — Part of Shaw Mountain Road in the Boise Foothills is closed after the creek jumped its banks, washing out parts of the road. 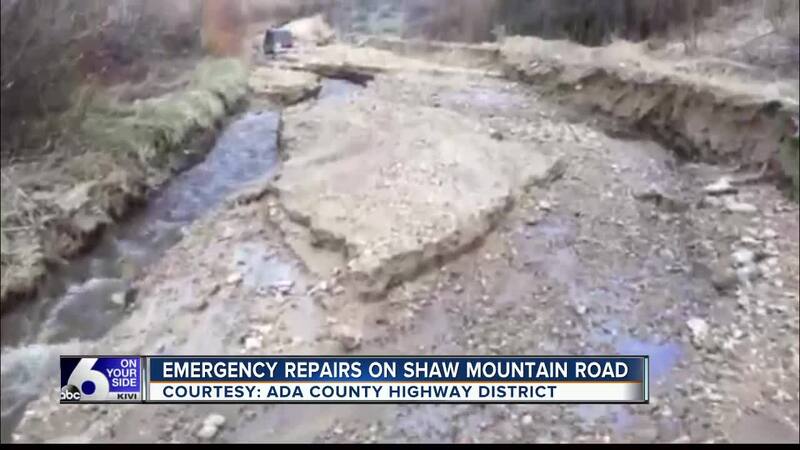 Ada County Highway District officials will start the repairs Thursday. The road closure starts at Rocky Bluff Lane and continues for more than three and a half miles up toward Rocky Canyon. The affected portion of Shaw Mountain Road will remain closed until further notice and the public is urged to avoid the area.